As we age, typically in the late 40s, we begin to lose dental and structural support in the lower face and experience volume loss in the soft tissues in general and in the lips specifically. Our lips thin with age and demonstrate less fullness and projection when viewed both in front and in profile. This process is called soft tissue atrophy and commonly affects the lips and corner of the mouth. As these areas become less plump, they wrinkle more easily and the mouth develops a “mouth frown”, a very ageing sign. Another ageing sign are smoker’s lines or vertical lip wrinkles in the skin on the top lip resulting from the constant use of certain facial expressions such as pursing lips, chewing, sipping from a straw or bottle and even talking. These wrinkles can become evident form an early age especially if one has an overactive muscle around the mouth. Lip enhancement has gained much popularity since the ’90s. Patients young and old, desire fuller, more sensuous lips. 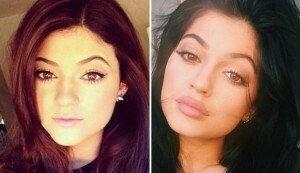 The lips have been associated with female sexuality throughout time, and women who possess large full lips are thought to be more physically desirable. Filler procedures are not invasive and they don’t require much recovery time. The sooner one starts with soft tissue rejuvenation with fillers, the better as early developing lip wrinkles are much easier to treat with dermal fillers. Hyaluronic fillers includes filling out some of the fine wrinkles and lines that are mainly located at the junction of the skin and the lip, restoring the Cupid’s bow and raising up the mouth corners. The vermilion border should also be treated as this prevents the lip from excessive pursing that occurs with normal mouth functioning such as drinking and talking. For a natural appearing lip, the body of the lip should be plumped as well for a fuller yet more natural shape. Lips should not be over-filled and with proper techniques they can be made fuller yet still look natural. 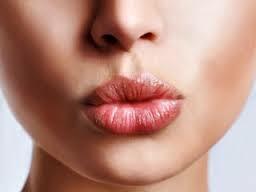 Natural lip rejuvenation requires the expertise and experience of the doctor as the result depends very much on the doctor’s technique. Do your research well to ensure that the doctor you choose for a natural lip rejuvenation procedure performs numerous treatments each day. For advanced lip wrinkles we offer in house treatments with Dermal Fillers, Pearl Fractional Laser, Laser Genesis, or Dermaroller™ Skin Needling treatments, for optimal results. In the more severe cases of smoker’s lines, a small amount of injectable wrinkle reducer is injected into the top lip to help reduce the amount of muscle movement and improve the lip rejuvenation process. Laser Genesis resurfacing after lip augmentation with injectable filler is the treatment of choice to treat more advanced lip wrinkling issues. This procedure is done one day after lip rejuvenation with dermal fillers and is repeated every 2 to 3 days for a total of 6 treatments for optimal results. Laser Genesis post filler has a twofold benefit: The bruising post filler rapidly resolves and the bruising present in the skin “post filler” attracts the heat from the laser and has a superior effect on treating the ingrained wrinkles.